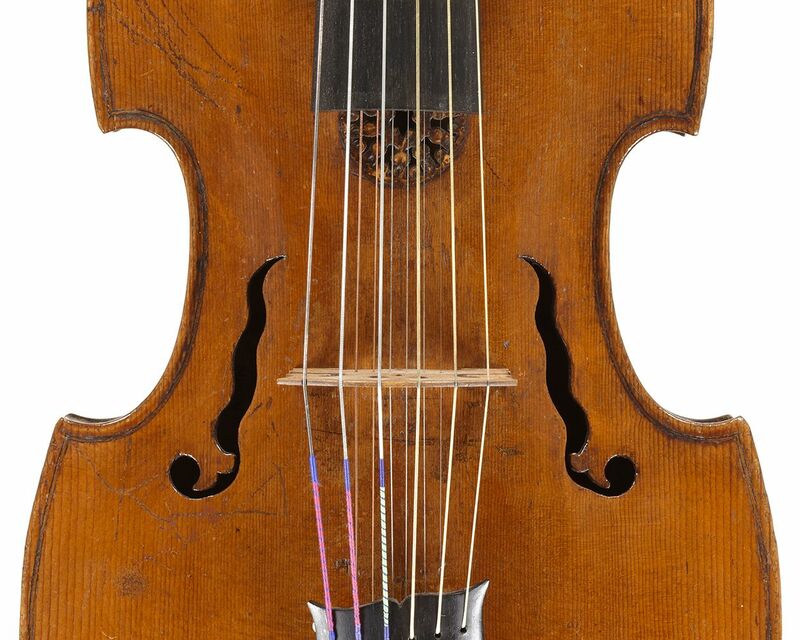 The Ferdinand Gagliano d’amore is about as pristine as an 18th-century instrument can get. The golden-brown varnish is nearly undisturbed, the pegs, fingerboard and tailpiece are almost certainly the original, and the label is untouched. The only apparent modification was the replacement of the plate covering the string terminus at the lower block, which was done by William Moennig III. This instrument was featured in the 2006 American Federation of Violin and Bow Makers exhibit of Neapolitan violin makers. The Vincenzo Sannino d’amore is a fine example of this maker at his most fanciful. The head features three separate ‘scrolls’ as the pegbox winds into the volute, and the varnish is a vibrant orange-red. The fittings are original. 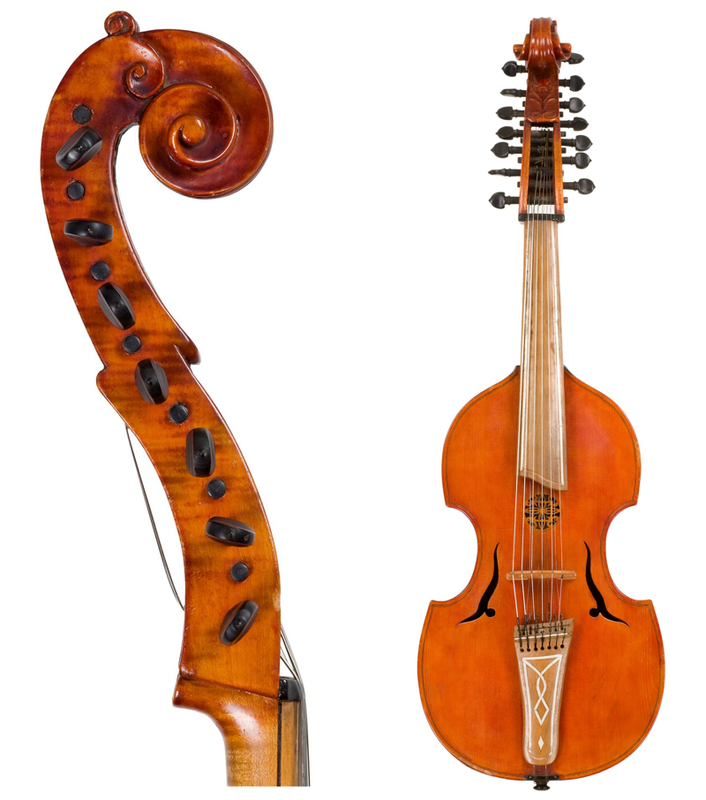 These two instruments were sold by Tarisio as part of the Moennig Collection auction in 2010.